Jumbo mortgages are used to purchase high-priced homes that require larger than normal loans. While they're convenient, they also charge slightly higher interest rates. Since the dollar amount that defines a jumbo mortgage is redefined each year, it's subject to change. Bigger isn't always better, especially when it comes to home mortgages. The term "jumbo" mortgage applies to loans for exceptionally high dollar amounts. Each year, Fannie Mae (FNMA) and Freddie Mac (FHLMC), the government-affiliated agencies that market mortgages within the U.S., define the point at which a traditional mortgage ends, and a jumbobegins. These types of loans are increasingly popular-and necessary-for buyers trying to borrow large amounts to purchase their homes. It may not seem fair that higher mortgages are saddled with higher interest rates, but the economic logic behind it makes sense. Both FHMA and FHLMC purchase the bulk of U.S. residential mortgages from lenders and then resell them to professional investors. They're packaged together and then traded on the market in a similar manner to the way stocks are traded on Wall Street. But jumbo loans aren't as easy as conventional loans to resell to investors, so the market for them is smaller. As a result, lenders typically charge more interest on these mortgages to help make them more profitable. When the limits for jumbo loans were set last year, the ceiling on conventional loans was raised significantly. Now, "jumbo status" kicks in for any mortgage loan amount above $417,000. The change was considered necessary because housing prices in the U.S. had risen dramatically since the last adjustment. Nowadays, it's not unusual for homes to cost $400,000 or more, even if they're not considered luxurious. Consumers and lenders alike welcomed the new limit. Some special exceptions for places like Hawaii-where the cost of living are higher than usual- allow for even higher caps. Because jumbo loans carry higher rates-usually a quarter of a percent higher than conventional loans-consumers who are borrowing an amount that's close to the limit will often try to figure out ways to avoid triggering jumbo status. Some mortgage companies will let you take out two loans at the same time-one as a first mortgage for the bulk of the money, plus a small second mortgage that will work in tandem with the first. For example, for a $450,000 purchase, you might be able to use a conventional loan to borrow $415,000, and then come up with the rest through a smaller second mortgage for $35,000. The interest rate on the smaller loan will likely be higher, but you can pay it off in a relatively short period of time. Avoiding the jumbo rate on the significantly larger loan more than pays for any added costs on the second loan. Over the lifetime of a loan, the savings gained by qualifying for a slightly reduced rate can be huge, adding up to tens of thousands of dollars. Now that's a jumbosavings! Available for single-family homes, townhomes, condos. 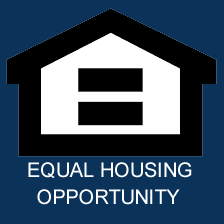 Primary residence and second/vacation homes also eligible.